Florence was born in Toulon and spent her childhood in various places all over France. Stéphane was born in Angers, with roots in rural France where part of his family has been involved in viniculture since 1895. Stéphane and Florence met in New York, returning to France to get married. Careers in international banking and investment took them to Asia, Latin America, and New York while growing their family with four children. After many years in the business world, however, a change was needed. 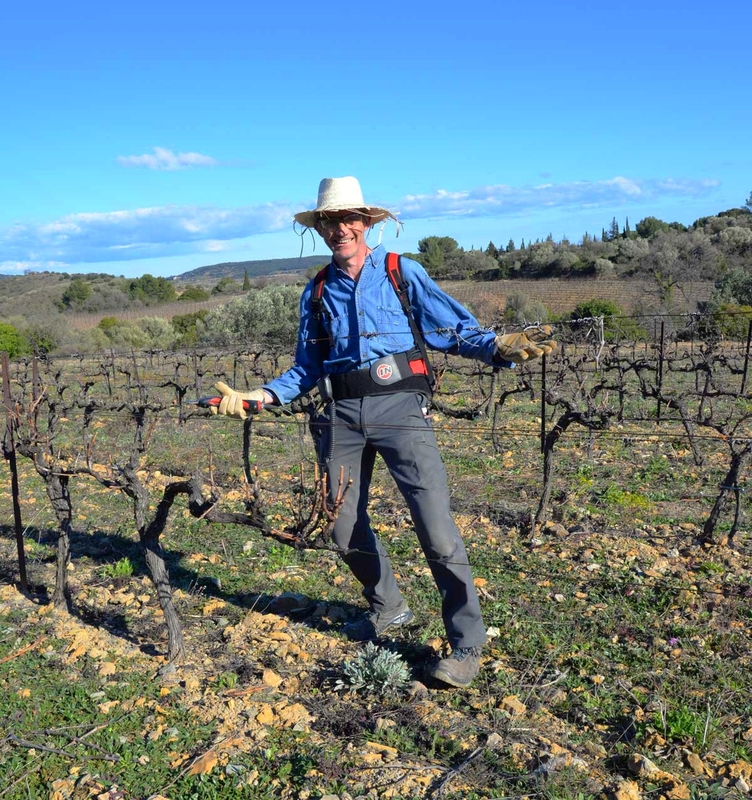 Finding La Grange de Bouys and devoting their lives to restoring the agricultural history of the property is a great joy for both Stéphane and Florence. To meet the new role as a winemaker, Stéphane has enrolled in a yearlong course 2015/2016 for professionals in Beaune, Burgundy to learn how to make quality wines and to improve his skills in taking care of the vineyard. He always returned from the monthly sessions with new ideas and projects to implement in the future. In 2016 they created a barrel cellar for aging red and white wines. In addition to working with Stéphane in the vines, Florence also takes care of the environmental diversity all over the estate, which is an important part of the work applying organic and biodynamic practices.